YES! A guy with a terrible HT might be the new VP of the US! 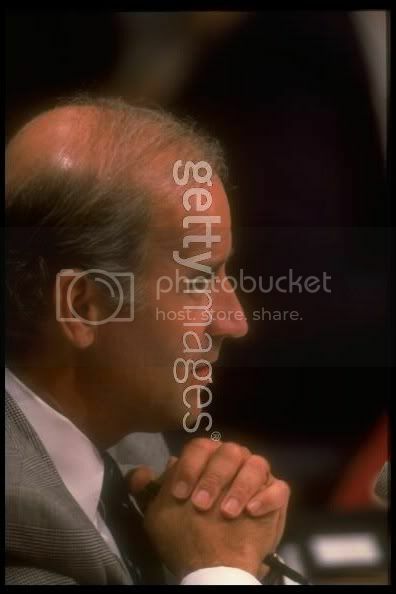 Is Biden a member of Hair Club for Men? His phony looking hair line is big time ugly. Here are some shots of his hair over the years. He looks MUCH better these days, IMO. 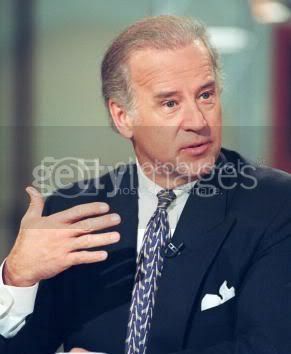 The combed-back look barely covers a fact of Washington life: Biden has tried to pre-empt baldness. Apparently, he’s a repair patient like so many of us here. It’s the HT vs. the comb over (between the old guys)! If it’s Obama and Mitt, it’s a hair war for sure! it doesnt matter, does it? i think he did great work or else he wouldnt be where he is now. like sofarsogood says, he looks better than before. i think he’s a cool guy though his ht. » think he’s a cool guy though his ht. I think alot of people are happy that he’s Obama’s running mate, I know I am. But if anyone went through the hair mill of old school transplants, its Joe. 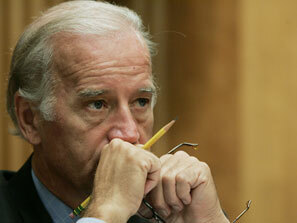 I don’t understand everyone’s reaction to Biden’s hair. To me it looks totally fine, not weird at all. Yeah he is bald in back, but it doesn’t look like plugs. I have seen a lot of men who keep their thin frontal hair but lose the hair in back pretty extensively. Is it because everyone is looking at the old photos of him his hair was pluggy and then that influences how they see his hair now? » but lose the hair in back pretty extensively. » pluggy and then that influences how they see his hair now? Yep, looks fine to me, not weird at all. If that was a hair transplant then his doctor did a good job. » » but lose the hair in back pretty extensively. » » pluggy and then that influences how they see his hair now? » then his doctor did a good job. Looks fine to me too… unless of course he was a Republican. Then I would have to say it looks like sh!t. 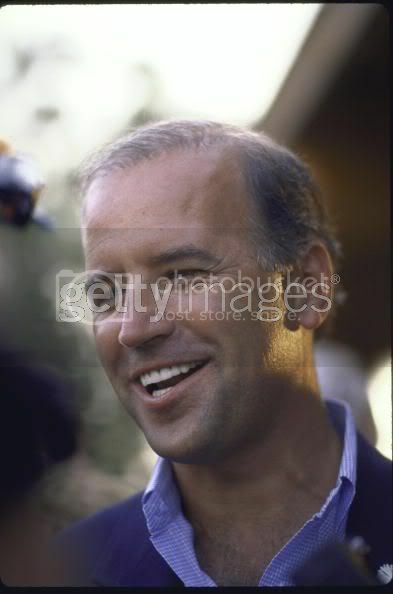 Yeah guys, Joe is for sure the best VP candidate in terms of hair. Sarah can’t compete. If he’s that good to rake votes in on the D day, well, fingers crossed for the republicans. » fingers crossed for the republicans. Actually seeing Biden not looking bad with his transplant and having extensive baldness, gives me hope. 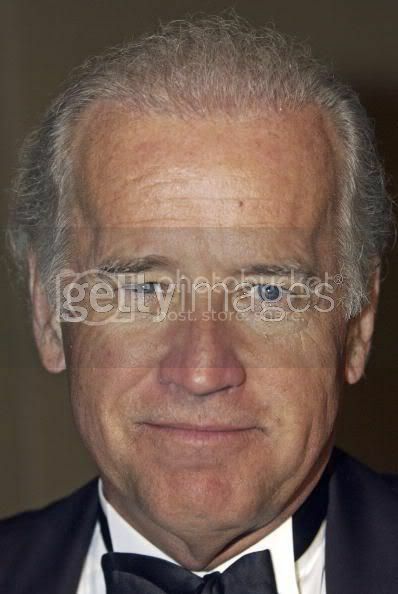 If you want Biden in then forget about getting your hair back if something that works comes along. I live in Chicago and you will have Chicago style politics and believe me you won’t like it. Unless you are well-heeled now as soon as they raise the taxes on the so called rich companies, those companies will scoot to another country and so will your job. If your one of those that think they will get a free lunch your kidding yourself, you can only take from Peter to pay Paul for so long then Peter won’t have any money left which leaves Peter and Paul both without jobs and neither has an money. This country has done fine up until the banks were forced to issue Sub-Prime mortgages which started the decline of the markets. And now Obama and Biden say Health care is a right. I guess we can add free Health care to the list. Washington is totally broke and the tax payers can’t pay anymore. Go ahead vote him in. I’ve got enough to make it, not rich, but enough. Put him in office and reach out with both hands for all the free stuff and don’t be surprised when you look down and see they are empty. This was the greatest country mankind has ever had and a bunch of spoiled brats who for whatever reason believes other people should take care of them will bring it down. No country is perfect, but a Socialist Society is not the answer. If you think so, go visit a few. A lot of people have died for the freedom this country provides and many have died trying to get here. Vote the way you want, I have lived most of my life but if your are in your 30-40 that will be the biggest mistake you will ever make and not surprising you will live long enough to regret it. » Sub-Prime mortgages which started the decline of the markets. » free Health care to the list. Osama, I mean Obama, is a disaster waiting to be voted in. Why has Al “I has a scheme” Sharpton and Jesse “I not the baby daddy” Jackson been soooo quiet concerning Osama, I mean Obama? I’ll answer later if I need to. » » Sub-Prime mortgages which started the decline of the markets. » » free Health care to the list. » Osama, I mean Obama, is a disaster waiting to be voted in. » idiots need to see. 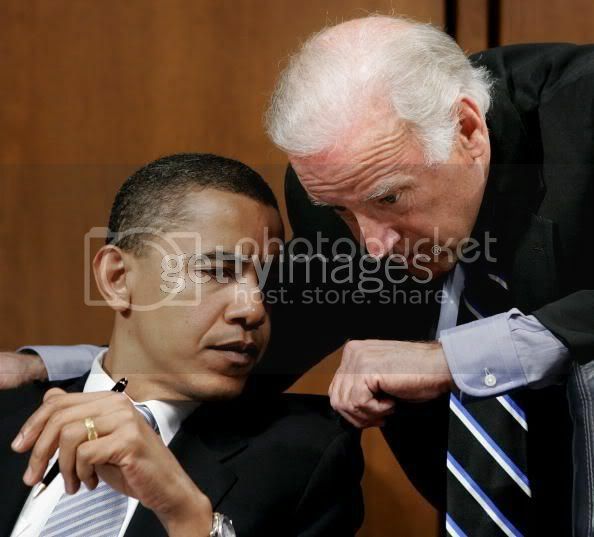 » Jackson been soooo quiet concerning Osama, I mean Obama? » I’ll answer later if I need to. Wow, you are not only ignorant, you are a racist POS too. I have to wonder what, and where, people like yourself went wrong in life. It is certainly not normal behavior to be so full of ignorance and hatred of those different than you are. » that works comes along. » you won’t like it. » neither has an money. » vote him in. I’ve got enough to make it, not rich, but enough. » don’t be surprised when you look down and see they are empty. » them will bring it down. » think so, go visit a few. » have died trying to get here. » surprising you will live long enough to regret it. You have absolutely no idea what you are ranting about. What is responsible for such ignorance? I can only assume that you watch FOX News 12 hours a day, or you gave up on getting an education when still in grade school. And please, quit playing the “patriotism” card when talking about “freedom”, because the GOP has no respect for the Constitution of these United States, and you can bet your sweet arse that your freedom would disappear overnight if the neocons could do as they pleased. The BIGGEST MISTAKE YOU CAN EVER MAKE is voting for ANYONE who would continue the policies of the last 8 years, and that person is John McCain. So far you have posted your opinion but no facts, If you can correct mine please do so. Here is a link that should open your eyes but I doubt you look at it, if you do please tell me the country you would rather have the USA become. » disappear overnight if the neocons could do as they pleased. » continue the policies of the last 8 years, and that person is John McCain. I suggest you have no idea what the word Freedom means, it certainly has nothing to do with Patriotism. You leave little doubt that During WW2 you would be the guy screaming that your freedom was taken away because you couldn’t open your drapes with a light on during an air raid. I cannot list one freedom I’ve lost can you? Perhaps you should read more rather than listening to talking points. Since you are talking about the Constitution where does it mention anything about Free Food, Housing, Money and now Health care. You want to feel good, reach in your wallet and give what you have to the guy down the street but don’t try to force everybody else to do it. » » disappear overnight if the neocons could do as they pleased. » nothing to do with Patriotism. » light on during an air raid. » rather than listening to talking points. » street but don’t try to force everybody else to do it. First off, let me remind you of a few things. The Bill of Rights are the first 10 amendments to the U.S. Constitution. The 1st Amendment, which allows the freedom of the people to “peaceably assemble” for a “redress of grievances” has been restricted to “free speech zones” often more than a mile away from the Republican neocons who threaten ALL our freedoms. Furthermore, the Foreign Intelligence Surveillance Act (FISA) was disregarded by the neocons and they spied, with the complicity of the telecoms, on the American people. On top of that the President has issued over a thousand “signing statements” to Constitutional law, which means he can interpret laws differently than they are intended. This is the govt. that likes to torture people and invent stories of threats that dont exist to wage war on innocent nations. I suggest you realize who poses a threat to your FREEDOM, and let me give you a hint: It is not an Islamic terrorist cell. Thats your lesson for the evening, be smart and take it to heart.